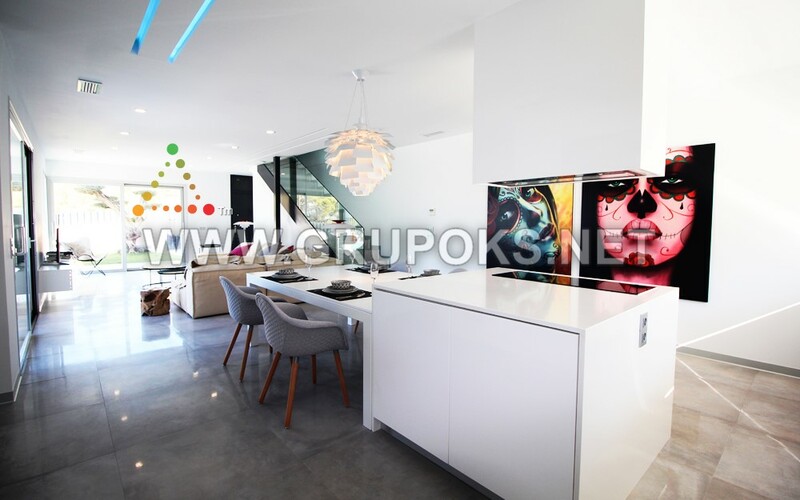 Modern luxury villa located in Finestrat in exclusive area with security, fitness center with gym, spa, sauna, tennis courts and massage rooms and close to all amenities such as restaurants, supermarkets and schools. The House is distributed on two levels in which you will find 3 bedrooms with fitted wardrobes, 3 bathrooms en suite and living room open to the kitchen fully equipped with appliances and access to the terrace and pool area. 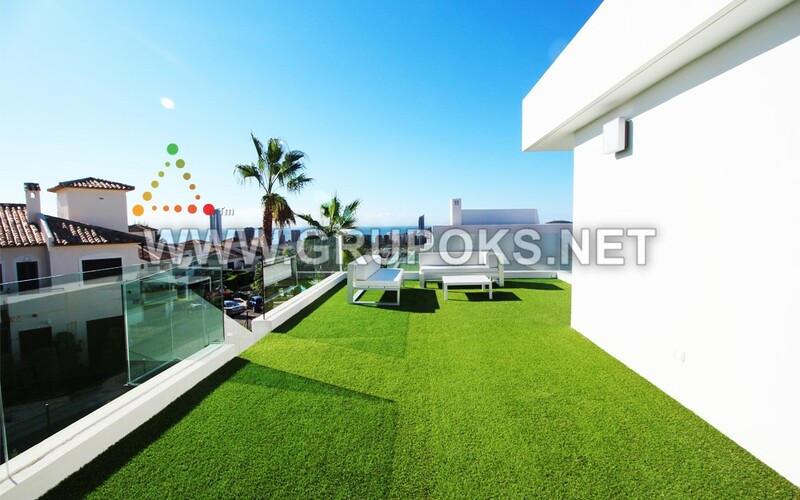 Others, including parking within the plot and solarium at the top where there are spectacular sea, mountains and city views.